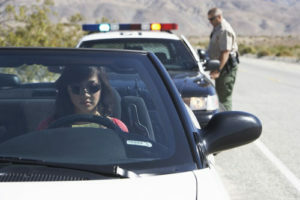 Is driving with a suspended license a criminal charge? Driving with a suspended license may be charged as a civil traffic infraction or as a criminal charge depending on whether the driver knew that his/her license was suspended. If the driver did not have knowledge, it will typically be charged as a civil infraction. If officer believes that the driver knew of the suspension, then they will likely charge the driver with a crime. What are the penalties for knowingly driving with a suspended license? In addition to the penalties mentioned above, the court may order probation with additional sanctions such as community service and further license revocation. Does a previous non-criminal suspended license charge (driving without knowledge) count as a prior offense for enhancing a criminal charge? What are the consequences of being designated a Habitual Traffic Offender (HTO)? Habitual Traffic Offender designation results in a five (5) year driver license revocation by the Florida Department of Highway Safety and Motor Vehicles. Further, HTO designation requires a full year “hard” suspension meaning that the person may not apply for a hardship license until one full year has elapsed. What causes a Habitual Traffic Offender designation? f) Driving a commercial motor vehicle while his or her privilege is disqualified. 2) Fifteen convictions for moving traffic offenses for which points may be assigned as set forth in section 322.27, including the offenses listed in subsection (1). If you have been accused of driving on a suspended license in the State of Florida and would like to Contact an Attorney, please call 239-775-1004. Consultations are absolutely free and completely confidential.